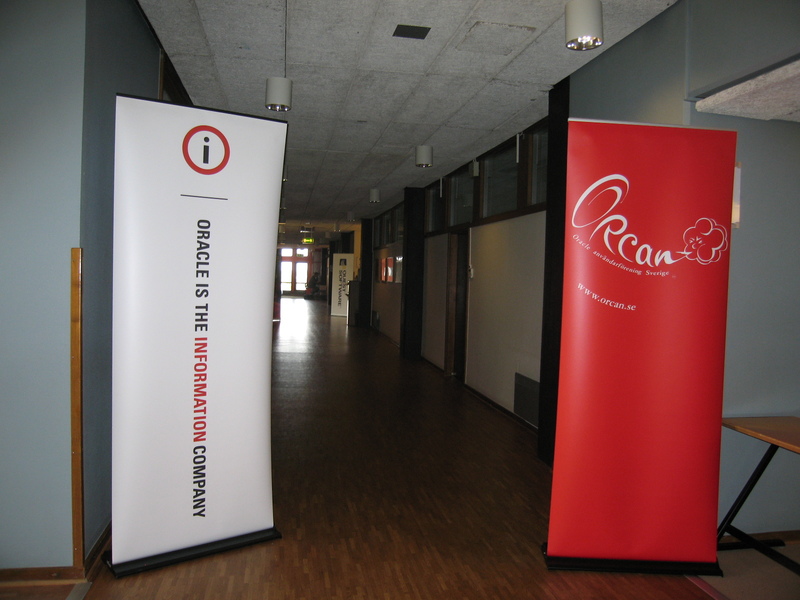 I have been in Sweden (in a japanese spa hotel near Stockholm City) between Monday and Wednesday to join ORCAN event. Thanks to Patrik Norlander and his friends, the event was really perfect. I had two presentations and joined presentations of other ACEs and experts. I spent my time in talking with Dan Morgan on a possible Turkey Oracle User Group Event, with Jose Senegacnik on Oracle and planes, with Dimitri Gielis whether APEX 4.0 is sufficiently mature to grow large scale applicaitons, and finally with Luca Canali about recent Oracle Streams projects in CERN. In programming language theory, positional notation refers to matching the order of formal parameters and actual parameters. Whereas named notation refers to matching the formal parameters and actual parameters explicitly usually (not necessarily) by some operator (in PL/SQL this operator is =>). Finally mixed notation refers using both together as a single notation. Although there was no restriction on using any of those notations within PL/SQL blocks, prior to 11g named & mixed notations for PL/SQL subroutines were not allowed in SQL statements (Code Piece 1 and Code Piece 2). This is one of the most restrictive issues about SQL for developers. Luckily 11g solves that issue and now it is allowed to use named and mixed notations also in SQL statements. Yet Another Optimization or a Compiler Trick? In Oracle 11g, Oracle finally allows PL/SQL developers to use sequences in PL/SQL expressions. Prior to that version developers should fetch the nextval or currval of a sequence by using a select … dual type of statements. By 11g you don’t need this anymore. You can simply refer to sequences anywhere you want within a PL/SQL expression. In this paper you will find out basic usage example and whether this new syntax is a new PL/SQL optimization removing dual access necessity or it is only plastics.